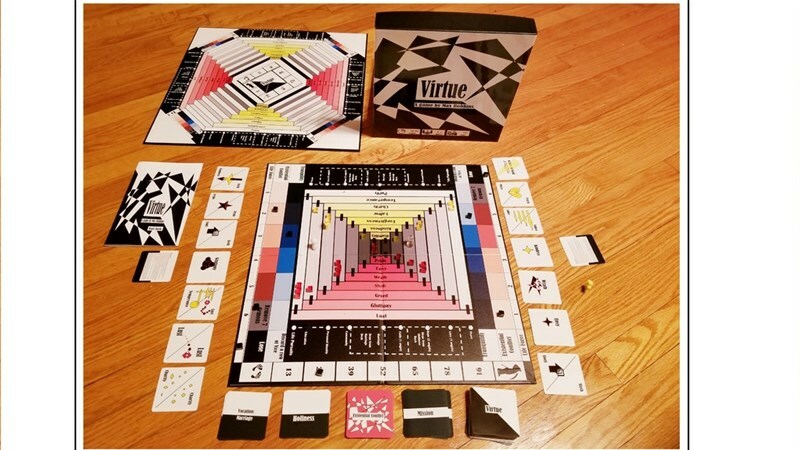 Virtue is a cooperative game for 2 to 4 players that pits your team against the spiritual forces of good and evil. You will strive to live a good life while balancing your life pursuits (community, education, personal identity, marriage, hope, faith, and love.) You will quest for internal tranquility and life-long peace. You will struggle with existential conflict as your angels and demons battle to shape your soul and define your character. You are in this together so if one falls, you all fall. The campaign is running now and is set to go for another 35 days.